Offering you a complete choice of products which include benzyl alcohol, iso propyl alcohol ( ipa ), per chloro ethylene ( pce ), tri chloro ethylene ( tce ), methylene di chloride ( mdc ) and toluene. 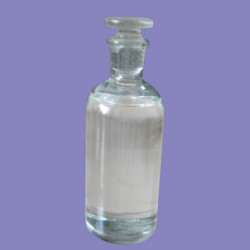 Benzyl alcohol is used as a bacteriostatic preservative at low concentration in intravenous medications, cosmetics and topical drugs. The use of benzyl alcohol as a 5% solution has been approved by the U.S. FDA for the treatment of head lice in children older than 6 months and in adults. 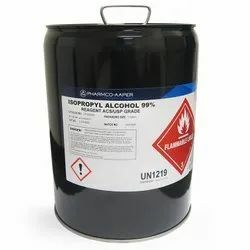 Isopropanol is a clear and flammable liquid at room temperature with odour resembles that of a mixture of ethanol and acetone; completely miscible with water, ethanol, acetone, chloroform, and benzene; melting at -89 C and boiling at 82 C. It undergoes all chemical reactions typical of secondary alcohols. It reacts violently with strong oxidizing agents. In a fire, it may decompose to form toxic gases, such as carbon monoxide. It is produced from propene by indirect hydration (strong-acid process) or direct catalytic reduction of acetone. 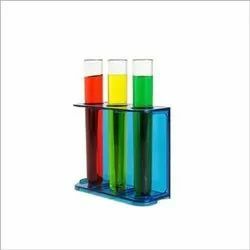 It is a low cost solvent in many applications as . 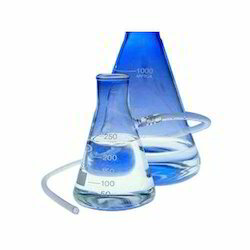 Isopropanol is similar to ethyl alcohol in solvent properties and evaporation rate. 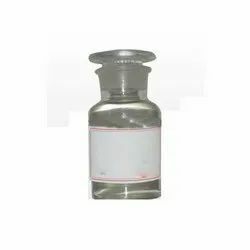 Its high latent solvent power for cellulose nitrate, cellulose acetate butyrate and cellulose acetate propionate, along with its moderate evaporation rate and its complete miscibility with most solvents, make it useful in lacquers, inks and thinners. Isopropanol is a mature commodity which is projected to grow at a global rate of 1 to 3 percent per year. 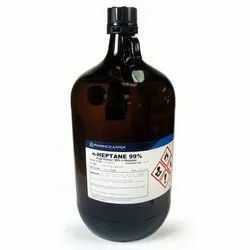 IPA consumption for the production of monoisopropylamine for herbicides (primarily glyphosate) is expected to be the fastest growing segment, while ketone derivatives used as solvents in coatings and inks will remain flat or increase only slightly. Government regulations covering volatile organic compounds have been, and will continue to be, a major consideration in future planning by IPA producers. 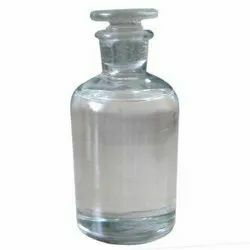 IPA is used also in the production of acetone (oxidation of isopropanol is now the major source of acetone) and its derivatives and other chemicals (such as isopropyl acetate, isopropylamine, diisopropyl ether, isopropyl xanthate, fatty acid esters, herbicidal esters, and aluminium isopropoxide). 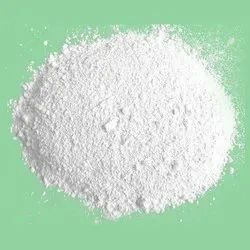 Other uses include the application as a coolant in beer manufacture, a coupling agent, a dehydrating agent, a polymerization modifier in the production of polyvinyl fluoride, a foam inhibitor, a de-icing agent, a preservative, a heat-exchange medium, and in windscreen wiper concentrates. 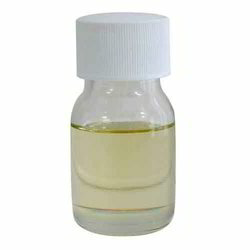 It is also used as a flavouring agent and in household and personal care products, pharmaceuticals. Perchloroethylene (also called Tetrachloroethylene) is a clear colourless, dense liquid with a distinctive, somewhat ether-like odour. It is non flammable highly stable, having no measurable flash point or flammable limits in air, belonging to the family of organic halogen compounds.It is the most widely used solvent in dry cleaning displacing carbon tetrachloride and trichloroethylene and also used for cleaning metals and certain other solids in vapour-degreasing apparatuses. It is used as a solvent for fats, greases, waxes, rubbers, gums and caffeine from coffee. It is also used for processing textiles, as an anthelminthic against ancylostoma, necator, nematodes and trematodes in veterinary medicines, a heat-exchange fluid and in copying machines. 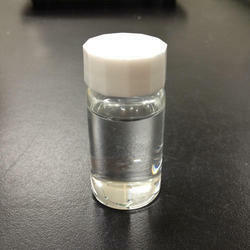 This compound is used as an intermediate to manufacture acid, fluorocarbons, paint removers and in printing inks. Small quantities are employed as a vermifuge. 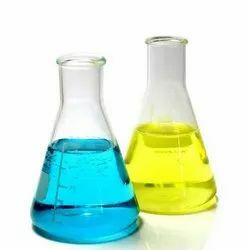 Trichloroethylene is a heavy, stable, toxic, nonflammable liquid with a chloroform aroma; boiling at 87 C; slightly soluble in water, soluble with greases and common organic solvents; Trichloroethylene is prepared by the chlorination of ethylene or ethylene dichloride. Because of concerns about its toxicity, the use is declining. It is prohibited to use in food, drugs and cosmetics. It is now mainly used in vapor degreasing of fabricated or assembling metal parts. It is also used as an industrial solvent in extraction processes, as a diluent in paints and adhesives, in textile processing, and other ways. It is used as a chain terminator for PVC production. 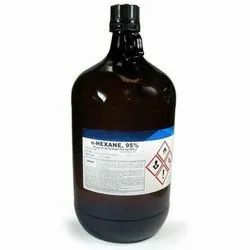 It is also used as a refrigerant, as a heat exchange liquid, as a chemical intermediate or raw material in the production of chloroacetic acid, pesticides, gums, resins, tars, paints and varnishes. It is used in dry cleaning operations. Methylene chloride is used in paint and varnish remover formulations, solvent vapor depressent in aerosol applications, general cleaning solvent and as a foam blowing agent for flexible polyurethane foams. It is also called as Dichloromethane. Toluene (/¿¿t¿¿ljui¿¿n/), also known as toluol (/¿¿t¿¿lju¿¿l/), is an aromatic hydrocarbon. It is a colorless, water-insoluble liquid with the smell associated with paint thinners. It is a mono-substituted benzene derivative, consisting of a CH3 group attached to a phenyl group. As such, its IUPAC systematic name is methylbenzene. 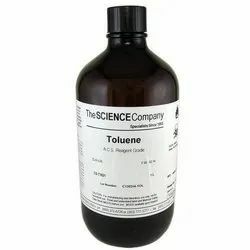 Toluene is predominantly used as an industrial feedstock and a solvent. Diethylene glycol is used in the manufacture of unsaturated polyester resins, polyurethanes, and plasticizers. DEG is used as a building block in organic synthesis, e.g. of morpholine and 1,4-dioxane. It is a solvent for nitrocellulose, resins, dyes, oils, and other organic compounds. 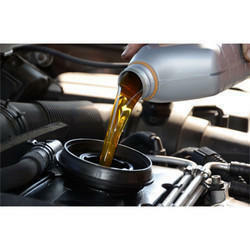 Monoethylene glycol (MEG) is an important raw material for industrialapplications. A primary use of MEG is in the manufacture of polyester (PET) resins, films and fibers. In addition, MEG is important in the production of antifreezes, coolants, aircraft anti-icer and deicers and solvents. This colorless liquid has a sweet, ether-like odor, as it derives from the family of glycol ethers, and is a butyl ether of ethylene glycol. As a relatively nonvolatile, inexpensive solvent of low toxicity, it is used in many domestic and industrial products because of its properties as a surfactant. Formaldehyde is a colorless, flammable, strong-smelling chemical widely used by industry to make home building products. It is a colorless gas at room temperature, or available as a liquid called formalin. 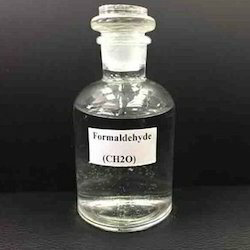 Formaldehyde is widely used to manufacture building materials and household products. 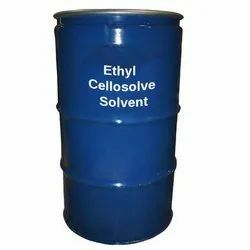 2-Ethoxyethanol, also known by the trademark Cellosolve or ethyl cellosolve, is a solvent used widely in commercial and industrial applications. 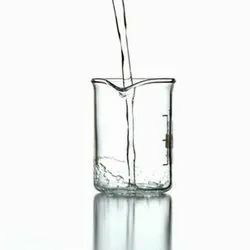 It is a clear, colorless, nearly odorless liquid that is miscible with water, ethanol, diethyl ether, acetone, and ethyl acetate.It will dissolve oils, resins, grease, waxes, nitrocellulose, and lacquers. This is an ideal property as a multi-purpose cleaner, and, therefore, 2-ethoxyethanol is used in products, such as varnish removers and degreasing solutions. The racemic 2-ethylhexyl acrylate can be prepared with a high yield by esterification of acrylic acid with racemic 2-ethylhexanol in the presence of hydroquinone as a polymerization inhibitor and a strong acid such as methanesulfonic acid by reactive distillation using toluene as azeotroping agent. 2-Ethylhexanoic acid is the organic compound. It is a carboxylic acid that is widely used to prepare lipophilic metal derivatives that are soluble in nonpolar organic solvents. 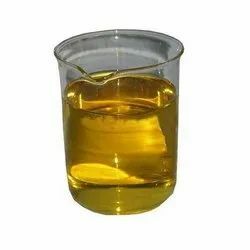 2-Ethylhexanoic acid is a colorless viscous oil.They fare used as catalyst in polymerizations as well as for oxidation reactions as oil drying agents. 2 MERCAPTOETHANOL is commonly abbreviated, is used to reduce disulfide bonds and can act as a biological antioxidant by scavenging hydroxyl radicals (amongst others). It is widely used because the hydroxyl group confers solubility in water and lowers the volatility. Due to its diminished vapor pressure, its odor, while unpleasant, is less objectionable than related thiols. 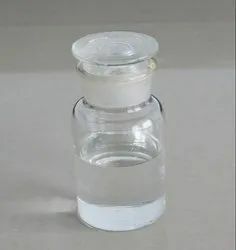 Ethylene dichloride (EDC), is a chlorinated hydrocarbon, mainly used to produce vinyl chloride monomer (VCM, chloroethene), the major precursor for PVC production. 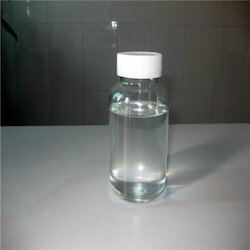 It is a colorless liquid with a chloroform-like odor.It is a precursor to TCE which is used in dry cleaning.It was used as degreaser and paint remover and as an anti knock additive in leaded fuels to scavenge lead from cylinders and valves preventing buildup.As a useful building block reagent it is used in making ethylene diamine and in laboratory used as a source of chlorine. n-Butanol or n-butyl alcohol or normal butanol is a primary alcohol with a 4-carbon structure and the chemical formula C4H9OH. Its isomers include isobutanol, 2-butanol, and tert-butanol. Butanol is one of the group of "fusel alcohols" (from the German for "bad liquor"), which have more than two carbon atoms and have significant solubility in water. The compound is classified as heterocyclic compound, specifically a cyclic ether. 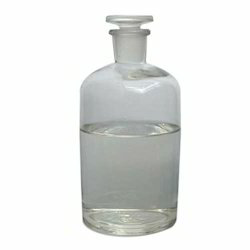 It is a colorless, water-miscible organic liquid with low viscosity. It is mainly used as a precursor to polymers. Being polar and having a wide liquid range, THF is a versatile solvent. Nonylphenol is used in manufacturing antioxidants, lubricating oil additives, laundry and dish detergents, emulsifiers, and solubilizers. It can also be used to produce tris(4-nonyl-phenyl) phosphite (TNPP), which is an antioxidant used to protect polymers, such as rubber, Vinyl polymers, polyolefins, and polystyrenics in addition to being a stabilizer in plastic food packaging. Barium and calcium salts of nonylphenol are also used as heat stabilizers for polyvinyl chloride (PVC). Nonylphenol is also often used an intermediate in the manufacture of the non-ionic surfactants nonylphenol exthoxylates, which are used in detergents, paints, pesticides, personal care products, and plastics. Benzene is used mainly as an intermediate to make other chemicals, above all ethylbenzene, cumene, cyclohexane, nitrobenzene, and alkylbenzene. More than half of the entire benzene production is processed into ethylbenzene, a precursor to styrene, which is used to make polymers and plastics like polystyrene and EPS. Some 20% of the benzene production is used to manufacture cumene, which is needed to produce phenol and acetone for resins and adhesives. Cyclohexane consumes c.
which used to make polycarbonate plastic and 21% going into epoxy resins. In the less than 5% of the BPA produced is used in food contact applications, but remains in the canned food industry and printing applications such as sales receipts. hexanes are used in the formulation of glues for shoes, leather products, and roofing. They are also used to extract cooking oils (such as canola oil or soy oil) from seeds, for cleansing and degreasing a variety of items, and in textile manufacturing. They are commonly used in food based soybean oil extraction in the United States, and are potentially present as contaminants in all soy food products in which the technique is used; the lack of regulation by the FDA of this contaminant is a matter of some controversy. monomers it can be used to prepare various copolymers such as ethylene-vinyl acetate (EVA), vinyl acetate-acrylic acid (VA/AA), polyvinyl chloride acetate (PVCA), and polyvinylpyrrolidone (Vp/Va Copolymer, used in hair gels. The majority of acrylamide is used to manufacture various polymers, especially polyacrylamide. which are mainly used in water treatment. coli has the capacity to use lignocellulose (waste plant matter left over from agriculture) in the synthesis of isobutanol. The use of lignocellulose prevents E. coli from using plant matter meant for human consumption, and prevents any food-fuel price relationship which would occur from the biosynthesis of isobutanol by E. coli. Chloroform, or trichloromethane, is an organic compound with formula CHCl3. It is a colorless, sweet-smelling, dense liquid that is produced on a large scale as a precursor to PTFE. The total global flux of chloroform through the environment is approximately 660000 tonnes per year, and about 90% of emissions are natural in origin. Many kinds of seaweed produce chloroform, and fungi are believed to produce chloroform in soil. Abiotic process is also believed to contribute to natural chloroform productions in soils although the mechanism is still unclear. Ethyl acetoacetate is often used in the acetoacetic ester synthesis similar to diethyl malonate in the malonic ester synthesis or the Knoevenagel condensation. The protons alpha to carbonyl groups are acidic, and the resulting carbanion can undergo nucleophilic substitution. A subsequent thermal decarboxylation is also possible. DMSO is frequently used as a solvent for chemical reactions involving salts, most notably Finkelstein reactions and other nucleophilic substitutions. 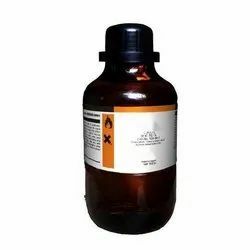 It is also extensively used as an extractant in biochemistry and cell biology.Because DMSO is only weakly acidic, it tolerates relatively strong bases and as such has been extensively used in the study of carbanions. Other uses include rubber processing chemicals (9%), herbicides (2%), and dyes and pigments (2%). As additives to rubber, aniline derivatives such as phenylenediamines and diphenylamine, are antioxidants. Illustrative of the drugs prepared from aniline is paracetamol (acetaminophen, Tylenol). Methyl acetoacetate is used as a chemical reagent used in the synthesis of pharmaceuticals.